Corbet’s Group Mothar Mountain Speedway returns for another night of action on Saturday December 1, highlighted by the running of the Coolum Beach Getaway Resort Street Stock City of Gympie Title. 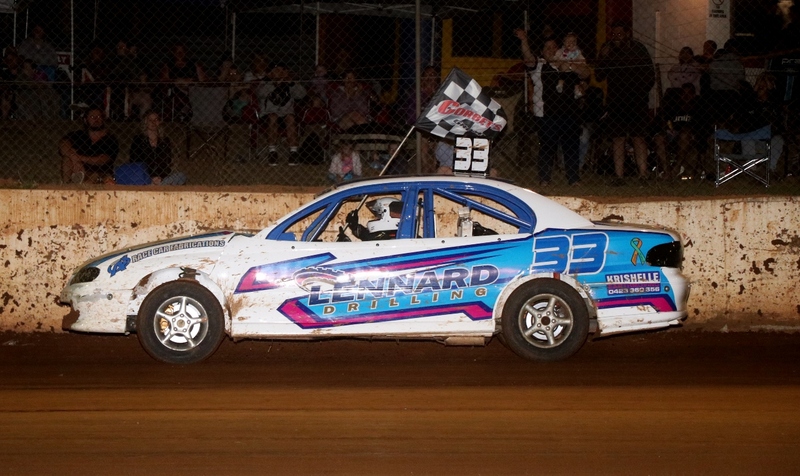 A very healthy list of drivers have nominated for the event which provides a Coolum Beach holiday plus large prizemoney and trophy for the winner. Local Ryan Kahler won the event last season, as well as the Gympie Club Championship. He will be hoping to repeat that success on Saturday night. However, there will be plenty of others who also have that goal in mind. To mention only a few, current Queensland Champion Robert Trapp always performs well on the Mountain as does last meeting Feature Race winner Peter Thompson. Travis Hutchison, Rick Cunning, Dylan Jarman, Jayden Snell and Greg Langton have all tasted success in Gympie. Young gun Callum Auld may also be one to watch on the night. The event will be run over three rounds of heats and a 30 lap final which will be run as 2 by 15 laps each way. Should keep the field nice and close and provide plenty of the traditional Street Stock chaotic action. Modified Sedans, where Brett Baxter will be out to make it two feature wins in a row; Production Sedans with Daniel Henshaw out to win two feature races in a row; National 4’s with Tim Weir out to dominate again and the amazing “Stars of the Future” the Junior Sedans which will highlight the continued struggle between A1 Ardie Jonic and NT 1 Casey O’Connell. The night is sure to be another unbelievable night of thrills and excitement as only the Mountain is able to provide.